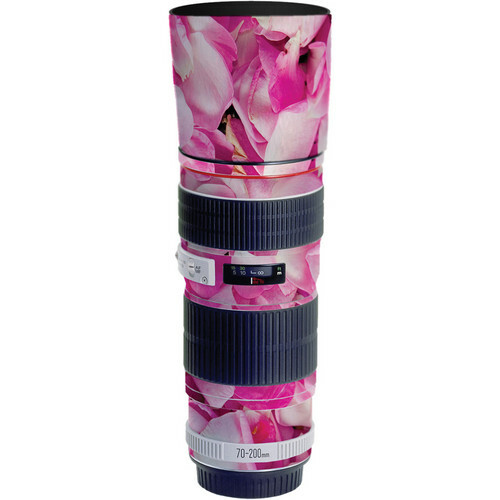 The pink petals Lens Skin for the Canon 70-200mm f/4 Non IS Lens provides your lens hood and lens barrel area around the distance scale with a super-thin (1mm) 3M UV vinyl coating that guards your lens against incidental scratches and bumps. It is custom-cut to match your lens hood and is easy to install and just as easy to remove. Once removed, no residue will remain. Neither will your lens suffer any damage to its finish, plastic pieces or moving parts. Once applied, which is generally accomplished within 10 minutes, you'll still maintain full access to all the functions, windows and buttons on your lens. 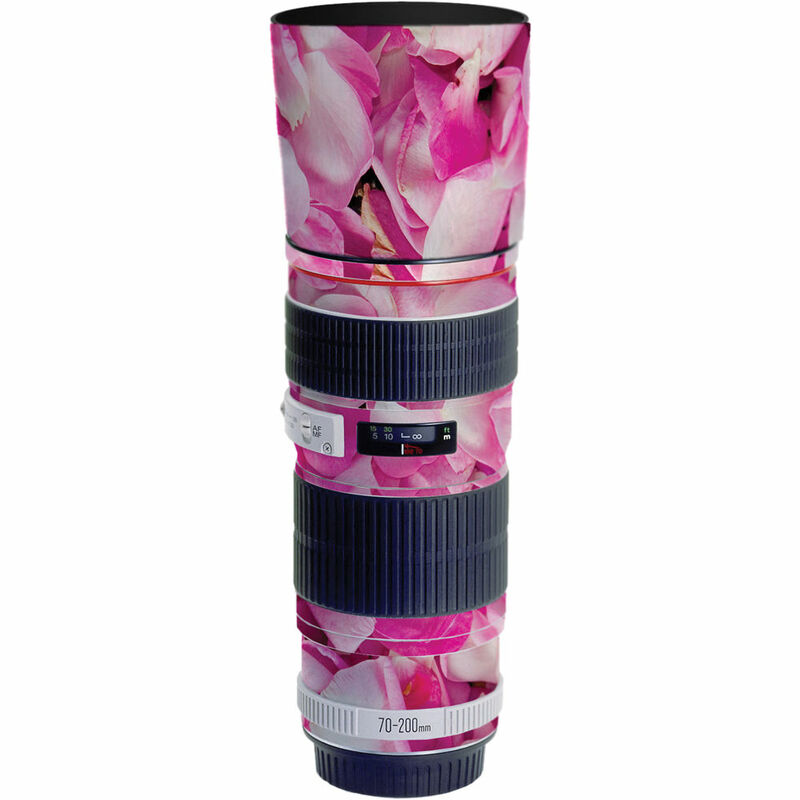 Lens Skin for the Canon 70-200mm f/4 Non IS Lens (Pink Petals) is rated 2.0 out of 5 by 1.